I guess you’ve come to this section of my website because you’re keen to know a bit more about the faces and inspiration behind the Veronica and Me Designs brand so I’ll do my best to hopefully answer all the burning questions you didn’t know you had! 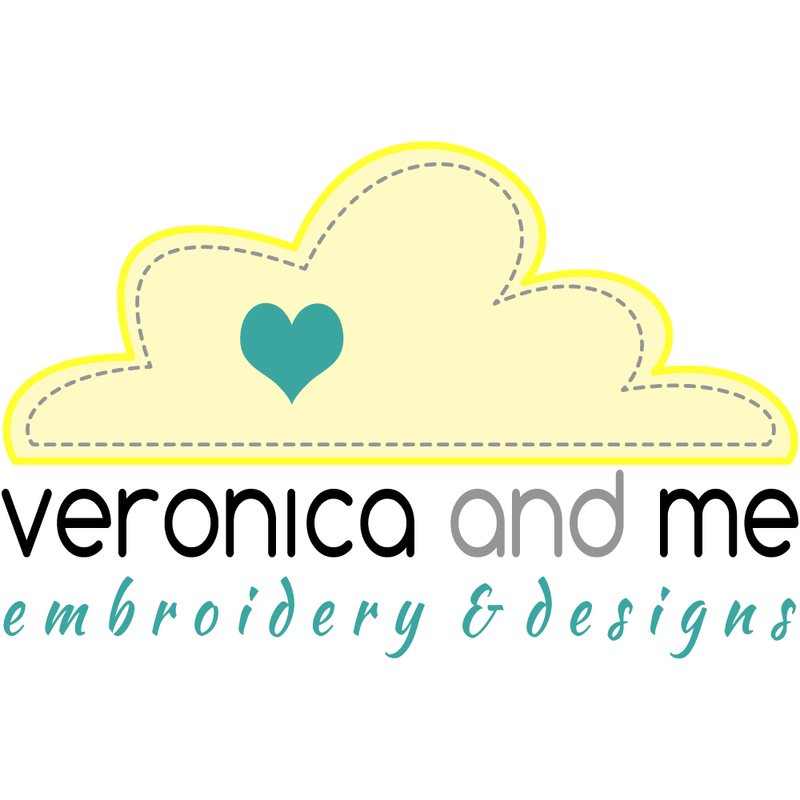 The Veronica and Me Designs brand is my “other baby” and just like Veronica, it brings me endless amounts of happiness, love, passion and grey hairs (I’m sure every other embroiderer can relate!) but I wouldn’t give it up for anything – I love it to bits! It was created out my love for individuality in a world of mass production. I wanted to create unique products which reflect my personality and are one of a kind, just like me. Each design I create is lovingly done so with the idea of being different and memorable. I love creating something unique and watching it come to life. I’ve always enjoyed tinkering around with different software and graphic design but embroidery digitizing is by far my favourite! It’s amazing to create something digitally and watch it form a real life 3d design. I also love the joy it can bring to so many in different ways. I’ve seen people embroider recipes in the handwriting their grandmother gave it to them in and baby birth details embroidered on memory items to keep forever. The things you can do with embroidery are really endless and I think for a lot of people it’s a hidden gem as they don’t know enough about it to realise what they are missing out on. I don’t necessarily fit the normal demographic for someone you would think of when you think of someone who does embroidery but I’m keen to change that perception and add a bit of youth and fun to it and hopefully encourage others to love the uniqueness of embroidery as much as I do! Thanks for stopping by, I hope you find something here that you love and come back often (I love visitors!) and share the link with all your friends on Facebook! If there is anything I can help with (or if you want to chat) you can find me at mandy@veronicaandme.co.nz.